SNAP is the annual gathering of our incredible community in UK. Featuring educational content, business advice, inspiring keynote talks, practical shoot demonstrations and a whole notebook full of ideas to propel your business forward. You can also expect starry skies, new friends, swimming, delicious food, chats late into the night and our epic closing party. You make a friend. You share a story. You shoot for yourself and it feels magical. You thoroughly unwind before the start of a busy season. Something clicks into place that wasn’t there before. SNAP is not a workshop. SNAP is not a camping trip. SNAP is not a conference. SNAP is the chance to be a part of something bigger than the sum of its parts. SNAP takes place between 29th April – 3rd May 2019 in Somerset, UK. Be a part of it. 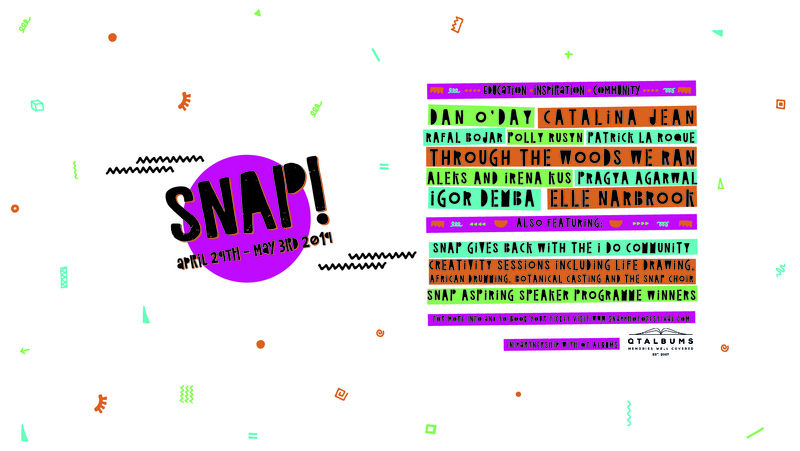 SNAP Photography Festival is the UK’s only anti-conference-summer-camp-festival-workshop-retreat for photographers. In 2019 we’re taking over a summer camp for disadvantaged kids in Somerset to bring you 4 days of keynote talks, workshops, street photography trips, camp fire hangouts, live music, silent discos, amazing community meals and live shoots. We’ll also be hanging out under starry skies, throwing a pool party and our epic mid event party, along with yoga, meditation, life drawing, botanical casting and a whole load more creative goodness to stimulate you and stretch your imagination! SNAP 2019 will also focus on Giving Back and we’re partnering with the I Do Community to do some good in the world and raise money for amazing causes. SNAP takes place from the 29th April to the 3rd of May in Somerset, UK.